The term “elopement” means to run away and get married or renew your vows. It’s a chance to escape to a beautiful destination, away from the stress and pressures of having to plan an extravagant, and large wedding. It’s a special moment for you and your significant other to have to yourselves or with a few people who you want to share this celebration of love with. 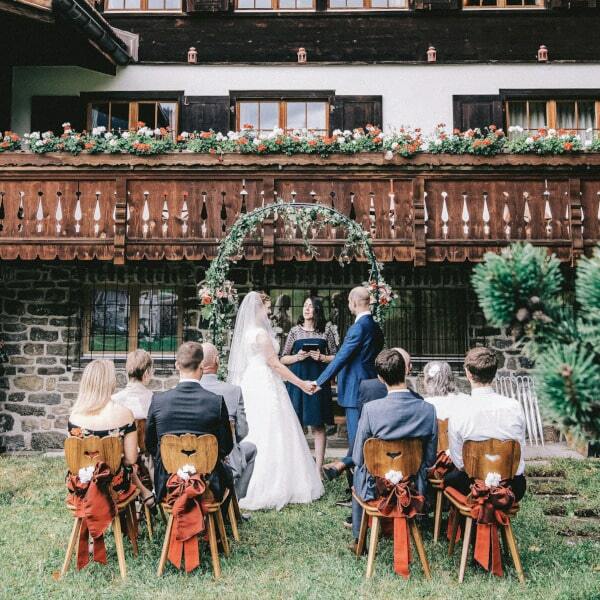 As a multilingual and English speaking celebrant, I give you the opportunity to have a serene and unique wedding ceremony or renewal of vows in Switzerland or any other destination of your choice. Similar to a secular wedding, an elopement ceremony can be celebrated the way we want. However, it differs from a classic wedding ceremony because the logistics are not as significant as they are in traditional weddings. It allows you to take your imagination to entirely new levels. You can choose your destination whether it be in a forest, at the top of a mountain, on a boat or in front of a famous monument. An elopement requires a different budget and is a less stressful way to celebrate this special day. Since you are not planning for large groups of people, you don’t have to plan for large catering companies, table preparations, large floral arrangement, DJ’s and other decorations. You can really focus on what matters most for you. Managing a guest list will never be easier! If you are looking for an easy, beautiful and peaceful way to celebrate, then an elopement is perfect for you. Where can the elopement ceremony take place? Everywhere! 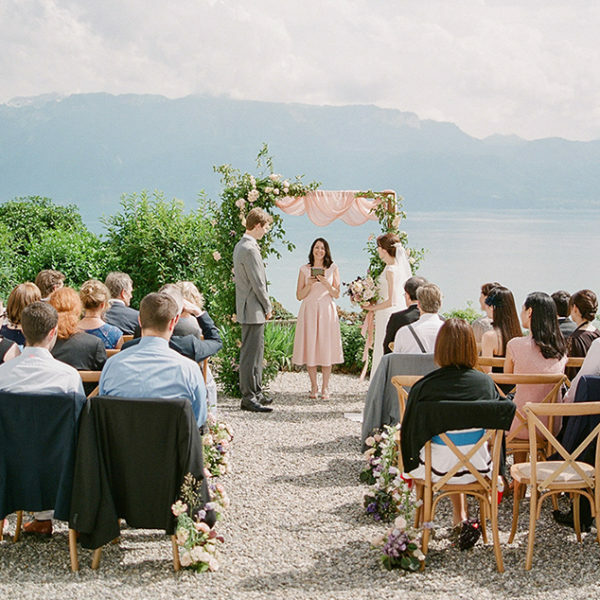 Since it’s a very small ceremony with the couple, the celebrant and possibly some guests, you are no longer confined to one area. 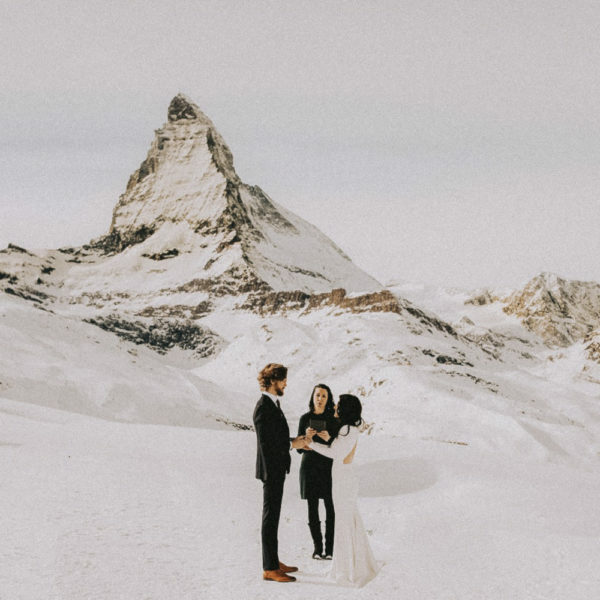 Why not saying “I do” to your beloved in front of the Matterhorn in Zermatt, on a boat, in a cable car in Valais, the vineyards of Lavaux or a prestigious palace in Geneva? 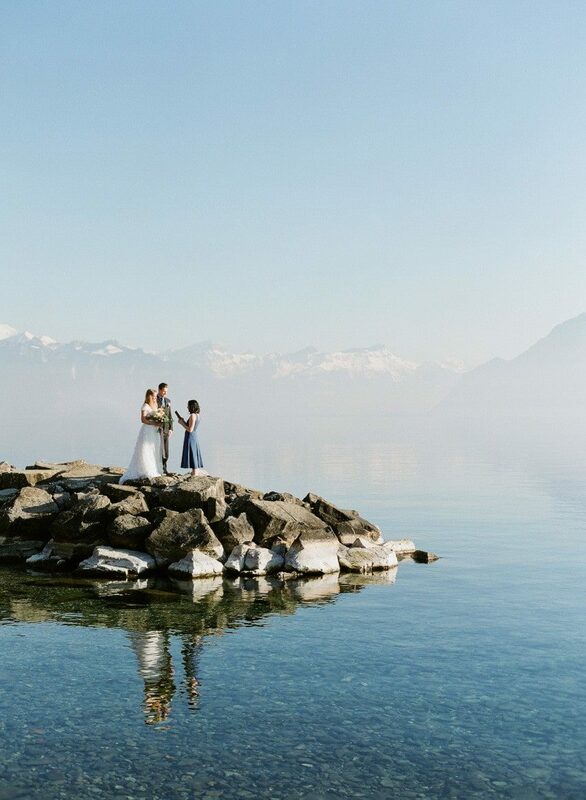 Switzerland is a beautiful country, and we have the privilege of having so many stunningly diverse landscapes for your destination wedding or vow renewal. Is an elopement ceremony right for us ? 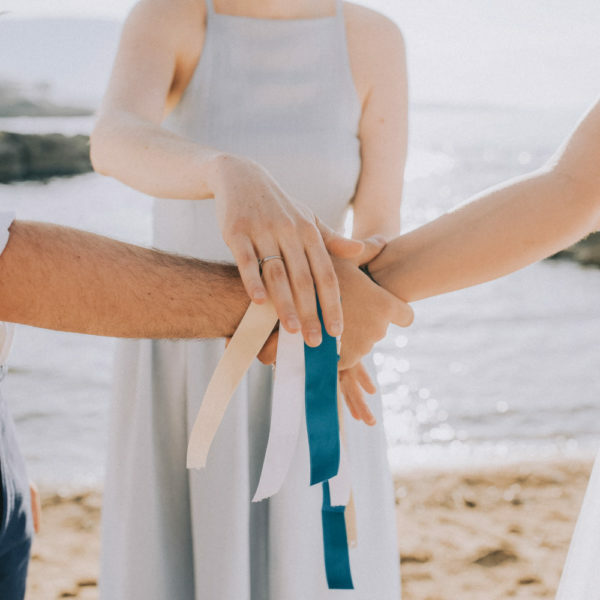 • An elopement ceremony is for those who wish to have a small, very personal and romantic moment with either nobody or just a few loved ones around. • Do you seek an intimate time to share intensely romantic vows, whether you are saying them for the first time or renewing them? • Do you want a stress free and easy way to celebrate and unite the love you have for each other? • Do you wish to travel to your dream destination and elope in an environment that is so serene and special to you and your significant other? 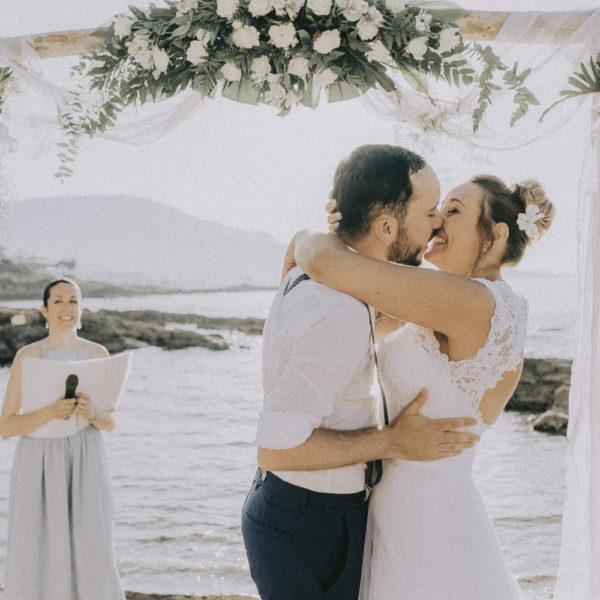 Whichever destination you choose, your elopement ceremony will be a special, beautiful and unforgettable moment between you and your beloved one. After the elopement ceremony, you can continue your celebration in various ways. I have seen some couples organizing candlelit picnic dinners whilst sitting on a blanket at the top of a mountain. Others have rented a cottage and spent the weekend together. 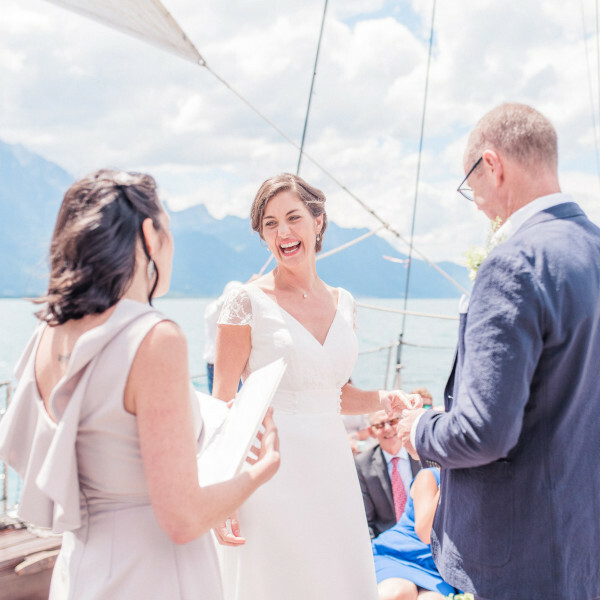 Whether you have a small group of friends, family or prefer to be just the two of you, there are endless possibilities to keep your celebration going after your symbolic ceremony.